Advanced Document Systems & Supply, Inc. carries a wide selection of Paper Cutters, Stack Paper Cutters, and Commercial Paper Cutters , including both heavy duty paper cutters, and Office paper cutters. Paper Cutters will allow you to use one simple operation to cut either one single sheet or a stack of papers. Automatic Paper Cutters are the most efficient way to cut large stacks of paper precisely and safely. 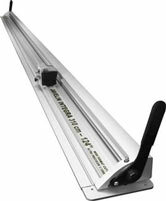 Lever Style Paper Cutters are very safe and simple to use, operated by a simple level handle that is lowered across the papers. Utility Paper Cutters are multi-purpose cutters that can cut foam core, honeycomb, corrugated plastics and other materials. 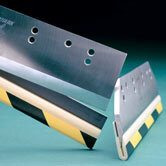 We offer quality paper cutting machines that guarantee clean precise cuts and are safe and simple to use. 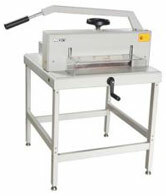 Rotary Paper Cutters are manual or electric and use a rolling cutting blade to cut paper, card stock and many other materials. They are some of the stronger paper cutters on the market and can handle a large array of materials, from the thinnest paper to heavy cardboard and non ferrous metals. 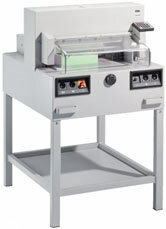 The popular models of rotary paper cutters, offered by Rotatrim, come with self–sharpening tungsten steel cutting wheels, a completely safe enclosed cutting wheels and guide rail construction with nylon bearings for low friction, noiseless operation, all designed to the highest specifications. We also offer Heavy duty semi-automatic paper cutters that are feature rich, yet simple to use providing fast, precise cutting and high performance at an affordable price. 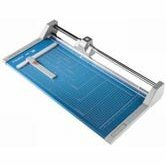 Browse our selection of paper cutter parts that we carry, including cutting sticks and cutter knives. 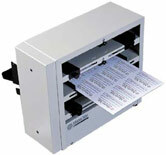 We also carry a wide selection of paper handling products, binding machines, laminating machines and supplies. Be sure to contact our friendly and knowledgeable staff today at 1-800-808-2377.